The performance-enhanced design of our 260 Sundancer inspires longer cruises and greater confidence on the water. Highlights include an open cockpit with reversible helm seat, streamlined V-berth and mid-berth, full galley and head, and plenty of storage. Willing to live more, experience more during the weekends?. Do it in style with Sea Ray & Red Dolphins Marine, the winning team. 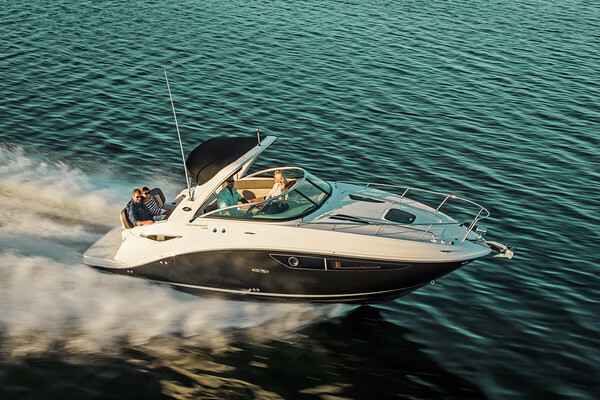 Your purchase is protected by the Sea Ray -best in class- warranty and our exclusive FREE preventive service program for 12 months including: Digital scanning, Travel, US Certified technicians, and all original lubes, filters for both engines, and grease.